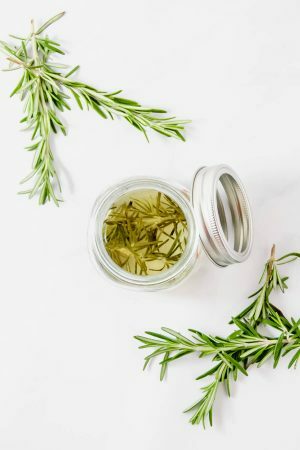 Rosemary infused simple syrup is an essential bar ingredient that turns a simple cocktail into something different and special! Perfect for holiday cocktails! Rosemary has got to be one of my favorite herbs. I use it pretty much everywhere… and I’ve just added it to my cocktail repertoire in the form of an infused simple syrup. I have seen rosemary used in cocktails before; once in Costa Rica, it was thrown into a cocktail shaker with cucumber, jalapeño and some sort of liquor (can’t remember what) shaken as served like as a flavored martini. However, recently I had a cocktail that appeared to have not rosemary whatsoever but a nice hit of it when I tried it – the secret was rosemary infused simple syrup. Of course, I thought it was a brilliant and perfect addition to any cocktail during the holiday/Christmas season. Plus, rosemary sprigs look like little Christmas trees!!! After being enlightened, I went straight off to make some. 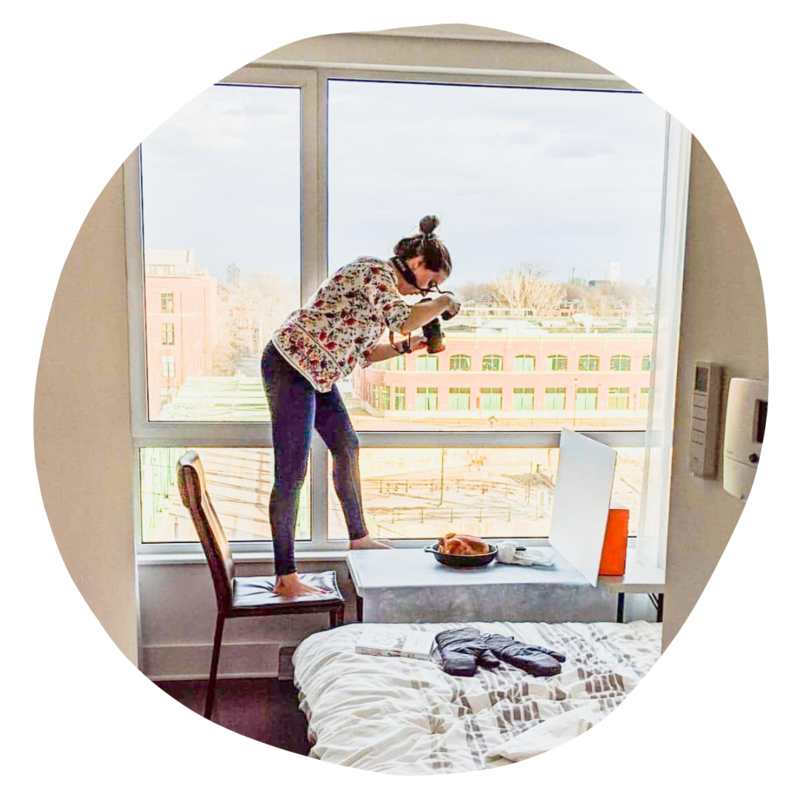 Typically a simple syrup is equal parts water and sugar heated until the sugar is dissolved, then cooled and stored in an airtight container in the fridge. However, you don’t necessarily need to heat it in a pot, just some hot tap water and a little patience will do the trick to dissolve the sugar. 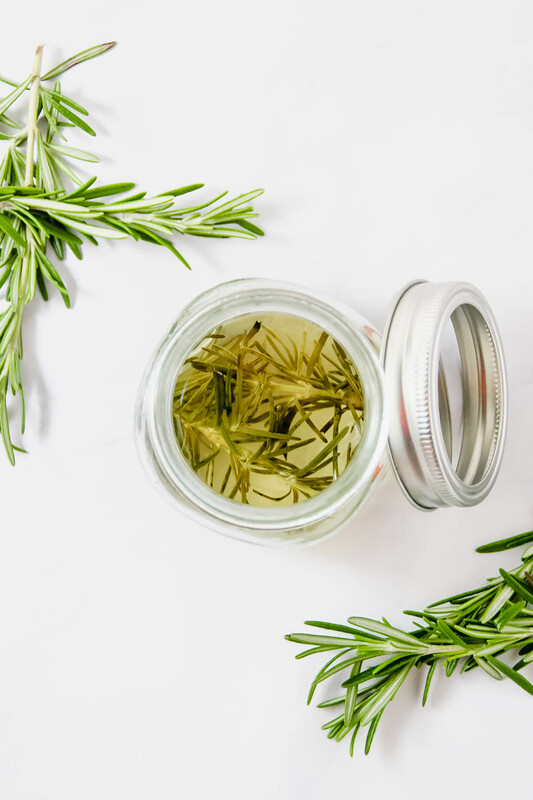 For this rosemary infused simple syrup or other infused syrups, I think heating it in a pot is best and letting it cool with the herbs is necessary to get a super-duper infusion. I also use a 1:2 ratio meaning 1 part sugar to two parts water. As the syrup boils water evaporates concentrating the sugar making it sweeter – i.e. more sugar for the same dose of rosemary flavor. Although this may be good for some cocktails, I like my cocktails on the less sweet side but still want all the rosemary flavor; thus the tweaking. In a small saucepan over medium heat dissolve the sugar in the water. Once dissolved, add the rosemary sprigs and simmer for 1 minute. 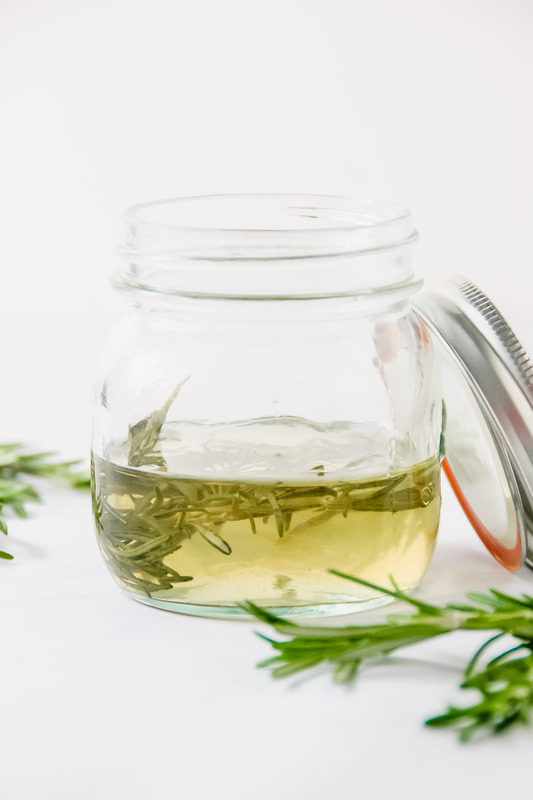 Remove the rosemary and store in an airtight container for up to one month in the fridge.